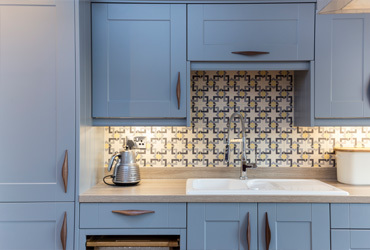 There’s no getting away from the fact that property and space in London is at a premium and if you live in the city, you’ll be aware that house prices continue to rise.With this in mind an attic conversion can prove to be a very successful way to ensure that your home grows with your family. 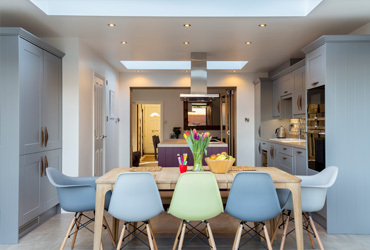 Here at Berry Construction we are specialists in attic conversions in Mortlake and our experience has covered conversion projects in roof spaces of all shapes and sizes.Attics are ripe for conversion: often unused and unloved at the top of a house, lofts can be turned into wonderful spaces that the whole family will enjoy using. The possible uses for attic conversions are almost endless and we’ve worked on projects to turn attics into bedrooms, master suites, games rooms, offices and walk-in wardrobes to name but a few!Turning the attic into a guest bedroom is a great way to free up extra space when visitors arrive but why save the loft just for guests?Attic bedrooms can make beautiful master suites - offering unbeatable views across London’s roof scape, an attic master bedroom can make a stunning finishing touch for your home. Attic conversions often end up being one of the largest rooms in the house and this can make an attic bedroom the ideal place to include an extra bathroom.A great solution to bathroom congestion in the mornings, adding an ensuite bathroom to the master bedroom not only adds value to your property, it’s also a well-deserved touch of luxury and will make your bedroom a sanctuary in which you can relax and unwind. As specialists in attic conversions in Mortlake we know that increasing numbers of homeowners in this area are opting for roof conversions rather than face the expense and stress of moving.When completed to the highest standards, an attic conversion will add value to your home, both in terms of monetary value and huge improvements to family life.We’ll work closely with you from the outset to design an attic conversion that is perfectly suited to the needs of your family and lifestyle, ensuring that the completed project is everything you’d hoped for and more. If you’re looking for ideas and inspiration on designs for your attic conversion, talking to neighbours who’ve converted their lofts can be a great source of information.It’s worth bearing in mind that if large enough, attics can sometimes be converted into two smaller rooms and we’re happy to give further advice on this. 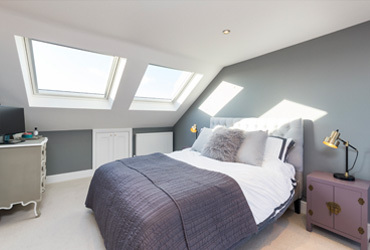 If you would like any information on our attic conversion services in Mortlake, please don’t hesitate to get in touch today.